It’s time to be a hero! 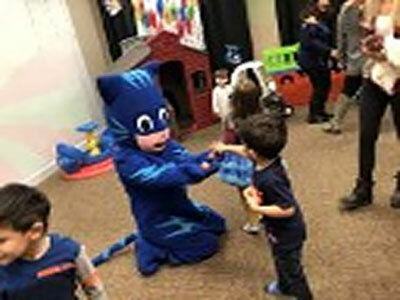 Invite Catboy and Owlette to your child’s PJ Mask birthday party at Kids Kustom Parties. 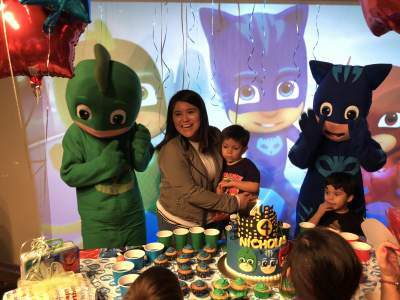 We offer three PJ Mask birthday party packages: gold, silver, or bronze. 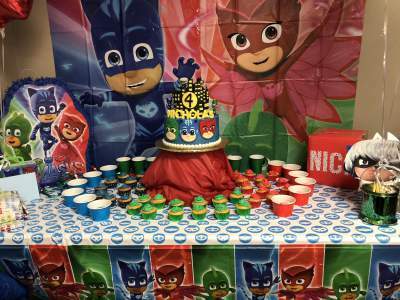 We’ll thrill your young superhero and his/her guests with a birthday party that will rival the excitement of a nighttime adventure. 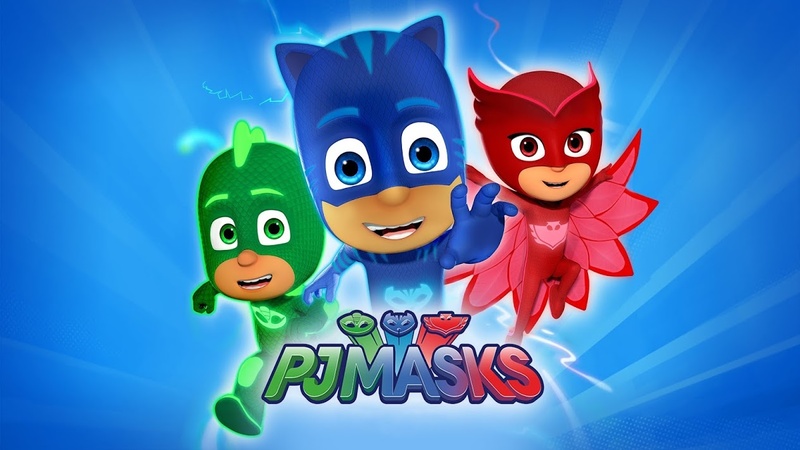 Not only will Catboy and Owlette stop Romeo, Luna Girl, and Night Ninja from ruining people’s day. But also, Catboy and Owlette will delight your gold-package guests with their performances. Your birthday VIP will get to wear a special superhero costume. Plus, your child and all her friends will get to wear capes and masks. Our characters can drive their Cat Car and Owl-Glider to you. 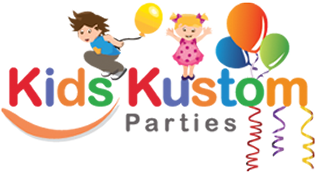 Learn more about how our kids party characters can come to your venue. French author Romuald Racioppo’s childhood book series, Les Pyjamasques, is the inspiration for PJ Mask. The books series began in 2008, and the Disney Junior animated television series premiered in 2015.